The North Shore Hall located at 675 Whitmore Road in Nelson has just recently undergone extensive exterior and interior upgrades designed and administered by Studio 9 Architecture. Over the past decade this community built hall that has been a long standing piece of Kootenay architecture and an important shared asset to the local community has fallen into disrepair and become severely underutilized. The North Shore Hall is located near the orange bridge and is easily accessible to people from Nelson as well as residents from surrounding areas. The renovation will keep the hall safe and open to the public for years to come. 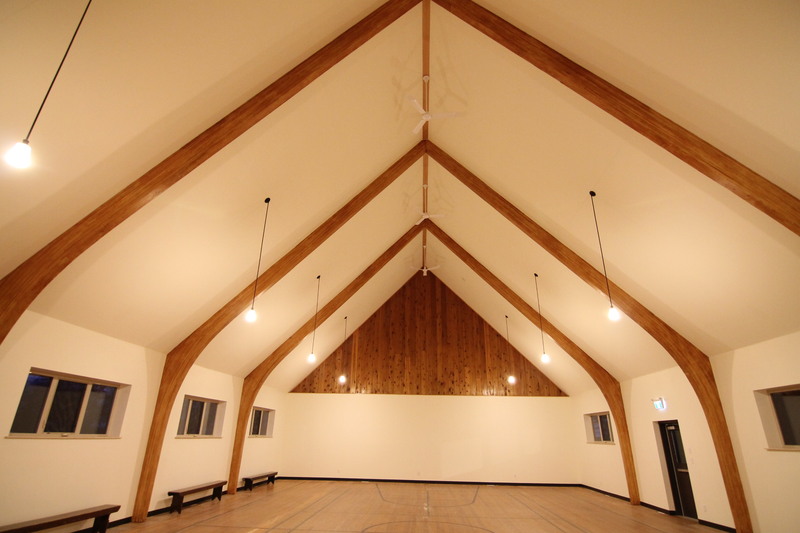 The hall space on the main floor is available for rent through the RDCK while the lower floor will be used by Nelson Search and Rescue. A second phase of renovations and improvements are scheduled for 2016 which include a new floor and kitchen among other things.